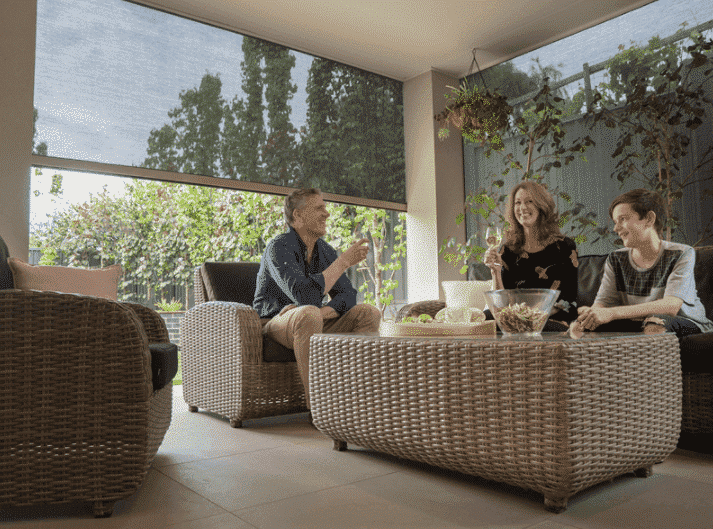 Spending time in your backyard can be tough during winter, but here are some tips to make your outdoor living space more inviting during the colder months. Just because the days are getting colder doesn’t mean you need to spend all your time sitting inside and staring out the window. Follow these simple tips to improve your backyard entertaining area and make the most of winter! 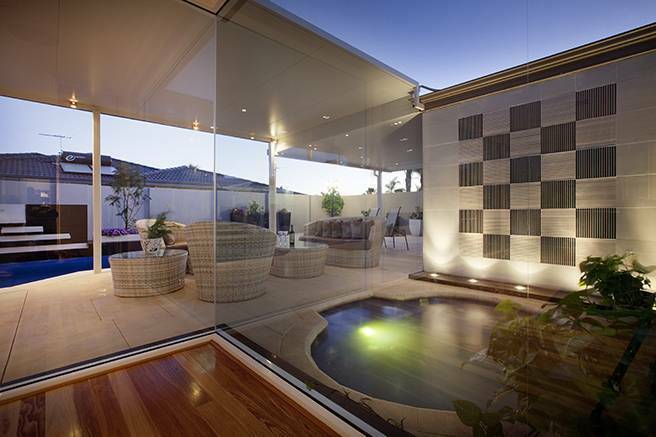 A great way to improve on the space you already have is by adding outdoor blinds to your patio or pergola. This will create an enclosed space, providing protection from the elements. Outdoor blinds can make any space cosier. Couch cushions and blankets in an undercover entertaining area can turn even the most uninviting outdoor area into a warm and inviting retreat. Add a space heater into the mix and brew a nice hot cup of coffee, and you’ll find that you’re actually looking forward to those chilly winter afternoons. An added bonus of an outdoor lounge is being able to entertain friends and family, be it just enjoying a few drinks together or a three-course meal. 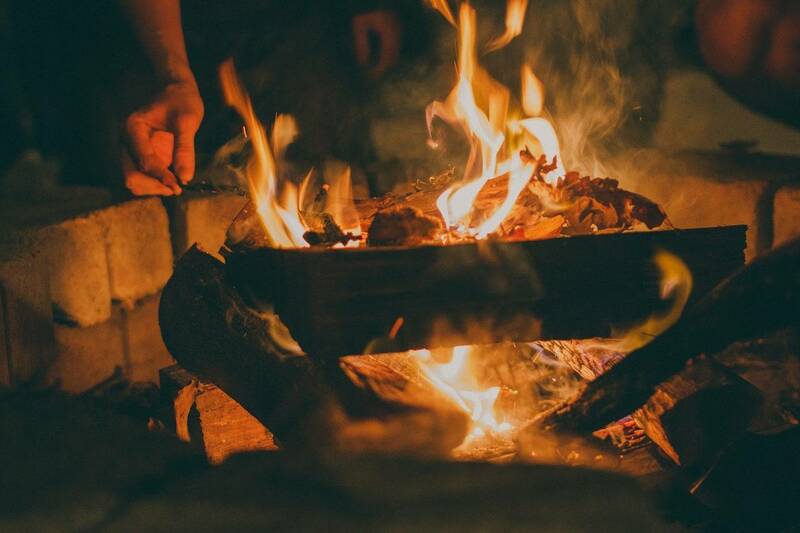 What better way to enjoy a winter’s night than around a fire with your friends? A built-in fire pit can be a striking feature, and it can be a great way to make your backyard more habitable during winter. 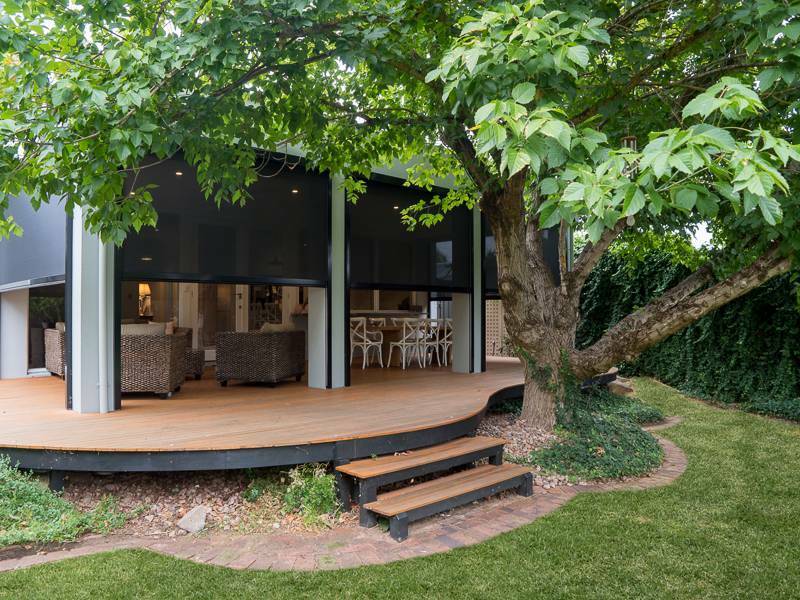 Just imagine it: sitting on your outdoor lounge, draped in a rug, warming your hands on your built in fire pit. Fire pits come in all shapes and sizes, with decorative features and themed chimneys being a great way to make yours stand out from the rest. Keep warm with your very own fire pit. Artificial grass lawns are quickly becoming the preferred lawn option for many families. They’re great all year round, but the advantages in winter are sure to have you heading outside to enjoy those nippy evenings. You can duck out for a quick game of bocce or to play with the dog and not have to worry about getting muddy footprints everywhere when you eventually come back inside. On top of that, artificial lawn requires very little maintenance, feels almost as real as natural lawn and is friendly to both children and pets. The best part is that artificial lawns stay green all year round, with no watering or mowing whatsoever. 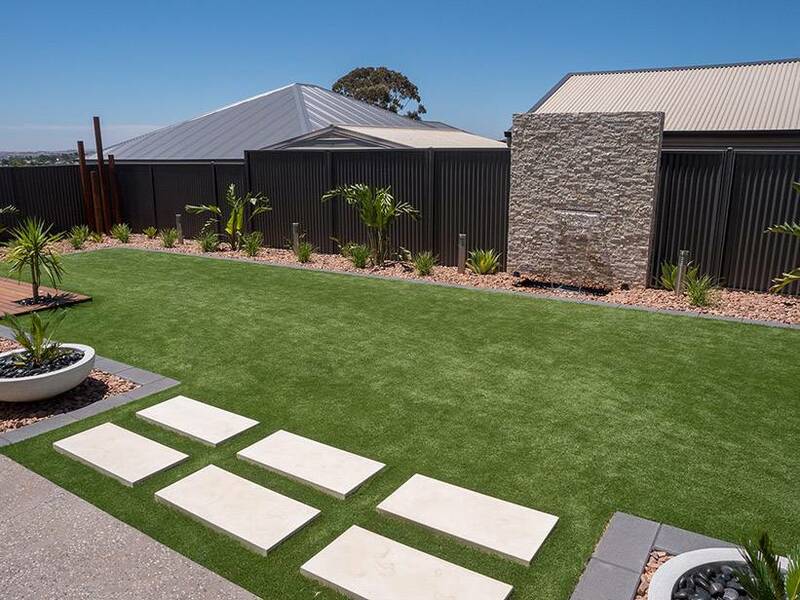 Head over to our website to check out our range of artificial grass lawns, and contact us for a measure and quote today. Artificial lawn will help keep those muddy footprints out of your home. 5. Splash out on a spa! Spas can be a great way to warm up in winter, especially with a glass of wine and a relaxing Spotify playlist on in the background. They’re perfect for relaxation, rejuvenation and hydrotherapy during the winter, although the trip from the spa back to the house might get a little cold! A spa can be a great way to warm up during the cooler months. There are lots of ways to spruce up your backyard for winter, but doing any or all of the above are sure-fire ways to make your backyard much more inviting. Subscribe to our blog for more tips on how to ‘love your life outdoors’ all year round.